For more than a century, English at Yale has been an important force in the academic study of literature and a key part of Yale’ educational mission. The Department teaches the majority of freshmen in Yale College, graduates more than 100 majors in every Yale class, and trains PhDs in English, who become scholars and teachers of literature. Over the decades our PhDs have gone on to leadership positions throughout the academic profession. 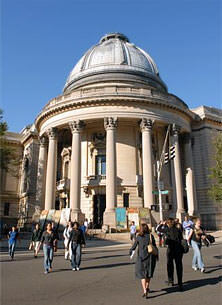 In addition to courses in literature and expository writing, the Department is the home of creative writing at Yale. Our illustrious writers work in all of the major genres - fiction, poetry, play and film writing, nonfiction prose, journalism - and together they make this one of the strongest undergraduate programs in creative writing in the United States.